Chef Kline and his fresh, playful Lowcountry cuisine have earned accolades in the form of homegrown respect and a platinum level status from the Sustainable Seafood Initiative. Once endearingly referred to as the “Incorregible Grits Tinkerer” by Hanna Raskin of the Post & Courier, Kline intends to embrace and fully live up to the title previously bestowed. Chef de Cuisine and right-hand man JD Coleman, formerly of Relish Restaurant Group and Cassique at Kiawah, also brings a wealth of knowledge, experience, and talent to the table. 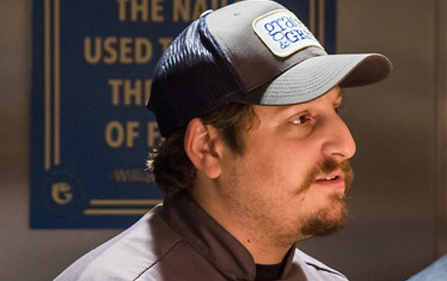 With the opening of Grace & Grit, Kline is able to resume a role he initially established for himself while recreating the menu and atmosphere of Acme Lowcountry Kitchen of Isle of Palms, SC. Grace & Grit focuses on fresh, local seafood while keeping the menu familiar and approachable. Guests enjoy an abundance of fresh local fish and shrimp, bacon smoked in house, and seasonal produce. With flavor packed into every dish, southern staples like cornbread, collards, butterbeans, fried chicken, and of course grits, take center stage as a reminder of the Lowcountry’s roots. Dinner is served every day from 5-10pm with a full brunch on Saturday and Sunday from 10am-2pm. Chef and owner of the new restaurant Grace & Grit, Frank Kline has spent his life preparing for this venture. Born and raised in the Charleston area, just as his family was before him, a deep love for the food, culture and history of the area was instilled in Frank Kline since an early age. He has worked his entire life in restaurants throughout the area, working every position and learning every aspect of the business along the way. He left to attend school for business at the University of South Carolina, earning three business degrees for himself. True to his think outside of the box nature, instead of choosing to follow a more traditional path after such an accomplishment, Kline chose a different approach. He moved back home and continued following his passion for food and hospitality, continuing to learn while marrying skill and experience with his business knowledge from school. He has gained much experience over the years from working under and alongside many talented chefs, managers and restaurateurs. Most notably, he was with Carolina’s in downtown Charleston, the Boathouse of both downtown Charleston and Isle of Palms and most recently Acme Lowcountry Kitchen, also of Isle of Palms. It was this last venture where he took over as both the Executive Chef and General Manager of Acme that Kline began to fully cultivate his personal style of Lowcountry cooking and management as a chef. Six years later, he left to realize his dreams of owning his own restaurant. With the opening of Grace & Grit, Kline is able to resume the role he initially established for himself while recreating the menu and atmosphere of Acme Lowcountry Kitchen. 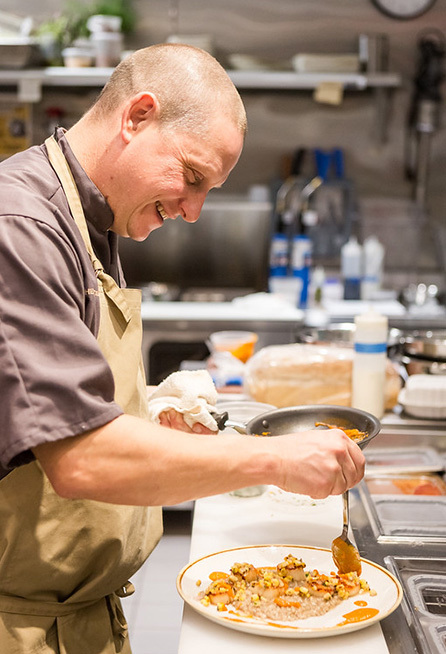 Expanding upon the farm-to-table movement, Chef Kline prefers the term “chef-to-table”, putting a strong emphasis on the relationships he is able to make with his guests by personally walking the dining room and ensuring guests are happy. It is his aim, through Grace & Grit, to personify his home and true southern hospitality through everything from the food, to the service, to the surroundings in order to create an authentic dining experience for his guests.